of the five canisters sent to the developing company, two turned out to be empty upon opening. the remaining three have been developed, and as much of the images rescued as they could manage. it’s not pretty, but if you know the players involved, you can make out enough to see what’s happening. 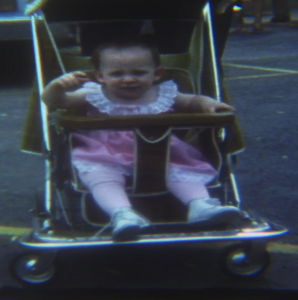 wish we could hop back to the 70s and march dad over to the drug store with the film. on the bright side, a lock box which i thought contained coins instead turned out to have miscellaneous papers and one more developed reel, from rose’s wedding. it starts out dark, but stick with it, and you’ll see some wonderful shots of the extended family out in the parking lot.